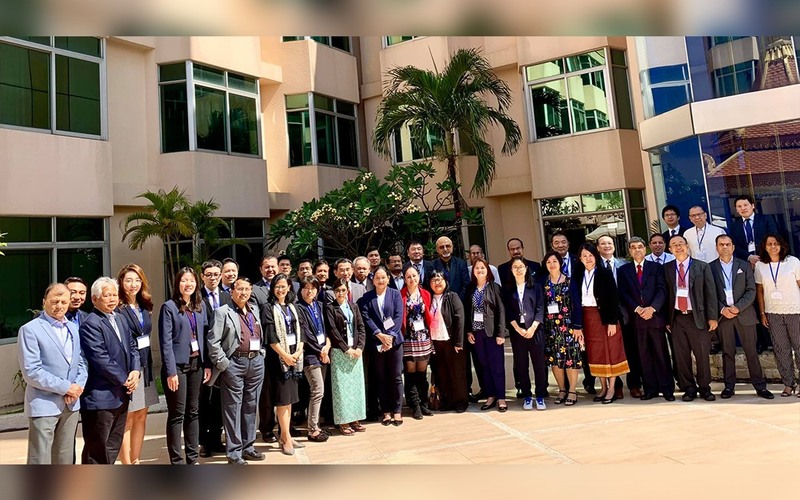 The Employers Confederation of the Philippines (ECOP), through its Director-General Jose Roland A. Moya and Executive Secretary Romina Cacapit, participated in a joint study workshop on the theme “Globalization and New Technologies: How Do Globalization and New Technologies such as AI and RPA Change Companies’ Competitive Environments and the Labor Market” held on 21-25 January 2019 at Phnom Penh Hotel, Phnom Penh City, Cambodia. The workshop was organized by the Association for Overseas Technical Cooperation and Sustainable Partnerships (AOTS). Invited as participants representatives of nineteen (19) employers and business membership organizations (EBMOs) which regularly participate in seminars organized by AOTS in Japan. Moya said ECOP has started to expand its roster of training programs to include essential soft skills such as effective customer engagement, project management, emotional intelligence, and work ethics, among others. ECOP has also been proactively contributing its technical inputs to address issues brought by changes in Industry 4.0 to policymakers and to specific government agencies through its participation in consultative meetings and workshops, as well as through pro-active lobbying. TESDA has been conducting consultations on the development of the Philippine National Technical Education and Skills Development Plan for 2018-2022 whose main thrust is preparing the Philippine labor force for the emerging changes brought about by the 4th industrial revolution.